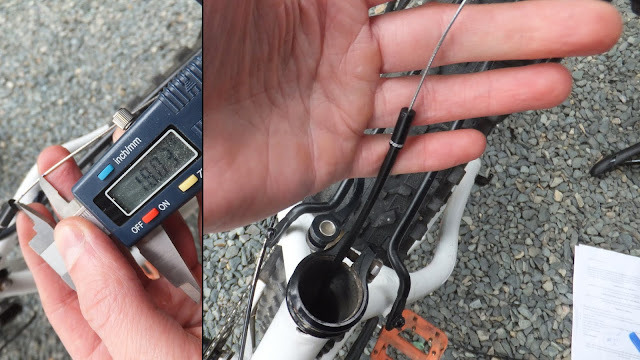 I have to admit, before I had a dropper post I was quite happy with a quick release clamp on the seatpost. Stopping to drop the seat for a gnarly descent and stopping again to raise the seat was no big deal. But when I threw a leg over my first dropper equipped fattie . . . I was hooked. 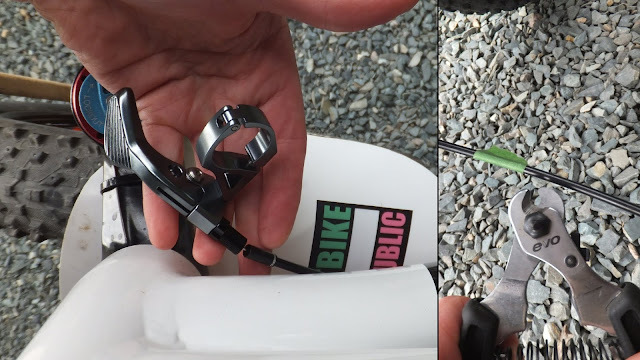 Although droppers are becoming more popular as standard equipment at certain price points, there is a large chunk of the fat population that rely on QR or regular seatpost clamps. 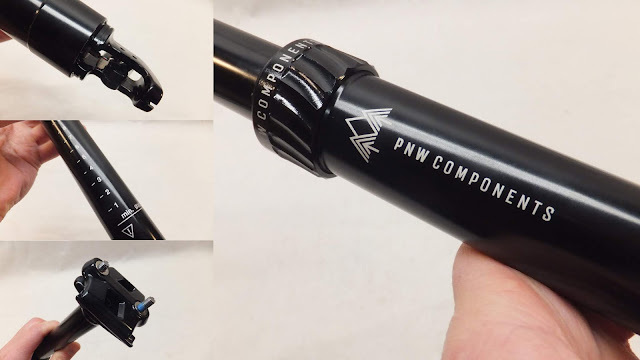 And this is where companies such as PNW Components play a role in offering high quality dropper posts at reasonable prices to the fat bike world. Fatbike Republic was able to secure one of their Rainier 150 IR dropper posts for some real world fat testing. The folks at PNW Components noticed that by the time a cool new bike product gets in a consumer’s hands, the cost has increased significantly as it has been touched by so many parties in the distribution chain. They wanted to change that by keeping overhead costs low, working directly with manufacturers and dealing directly with consumers. This allows PNW to offer “high quality parts for a fraction of the cost, leaving money in your wallet to buy other things... like burritos”. This is a win-win for everyone, especially if you like burritos. The Rainier 150 IR is a product of their hard work and love of the sport. The Rainier IR is available in two post sizes (30.9 and 31.6) and in three different levels of travel (125mm, 150mm and 170mm). The IR stands for internally routed. 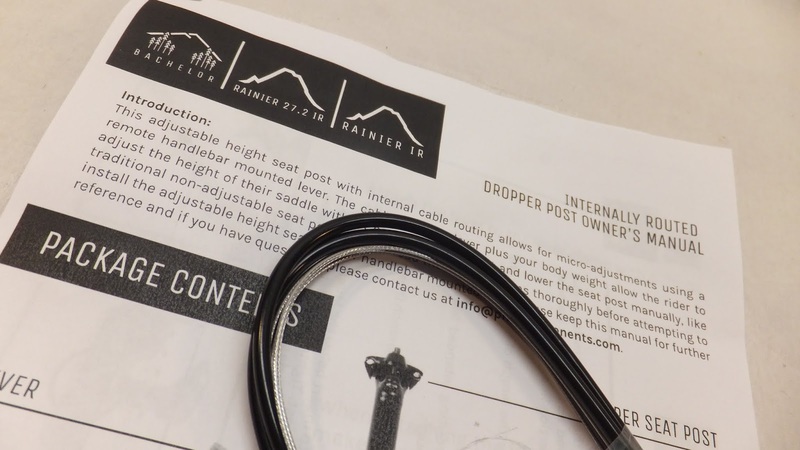 This dropper post is built around the motto, “set it and forget it.” Its coil spring system makes it one of the most reliable seat posts on the market, so you’re guaranteed to have smooth actuation when you’re switching from climb to descend and back again . . . Plus, you can find sweet upgrades to the Rainier’s OG dropper design on the posts featuring 150/170mm of travel. These models have larger diameter stanchions, making them stiffer and lighter, and an added DU bushing to combat seat wobble. 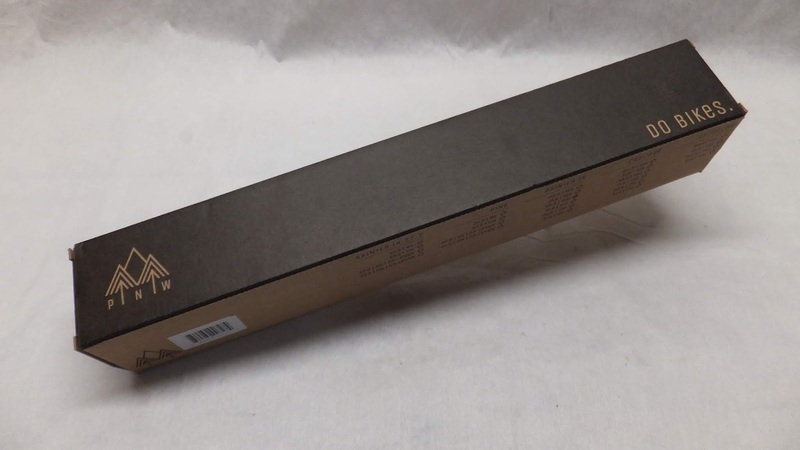 The Rainier 150 IR arrived in simple, yet functional, packaging. Opening the box the dropper was housed in a heavy duty plastic bag while the other bits (cable, cable housing, level, leaver clamp, barrel nut and cable end) were wrapped up separately. 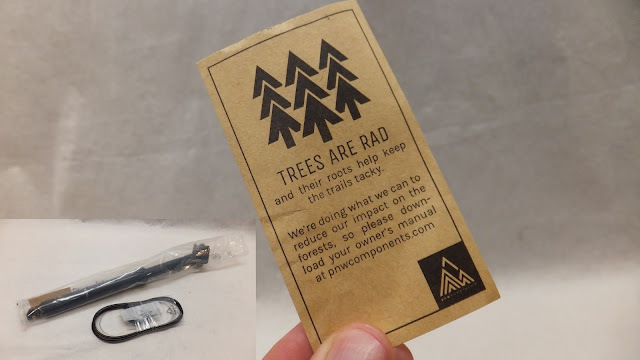 A note included with the dropper directs you to the PNW site to download the owner’s/installation manual - kudos for saving trees. The fit and finish of the dropper was top notch. No paint blemishes, scratches or smudges with clear insertion markings, wording and logos. 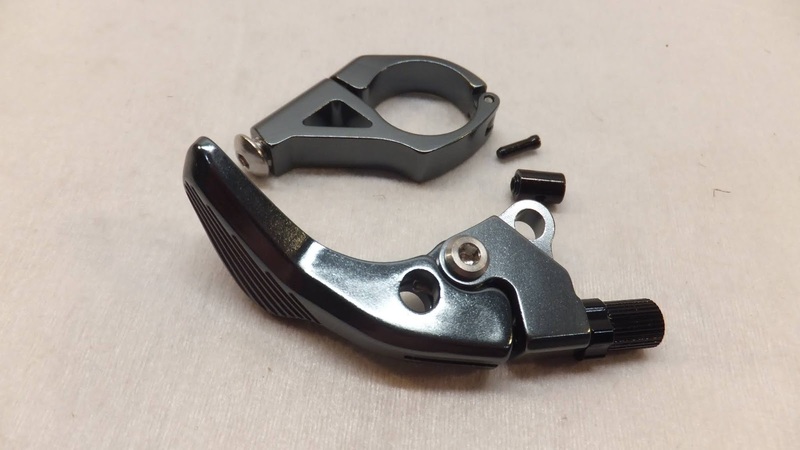 The textured heavy stop collar, drop actuator and seat clamp were machined well and did not look flimsy or inadequate. There was a very solid overall feel to the post. The exceptional fit and finish also flowed over into the lever and lever clamp. And rounding out the kit was quality Jagwire cable and cable housing. Dropping the Rainier 150 on the scales it weighted in at 580g with the lever and lever clamp weighing a minuscule 32g. As with all instructions, it's a good idea to read them a couple of times before starting installation – it allows you to anticipate and plan for any issues before they arise. 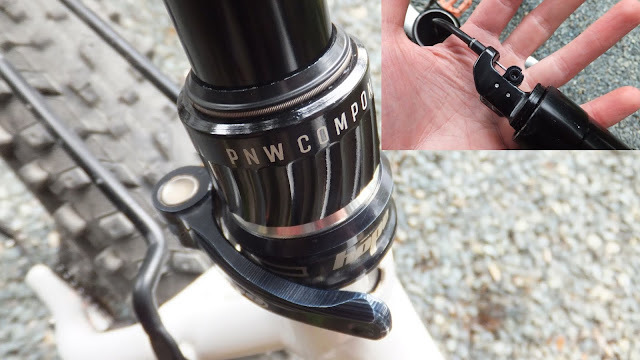 The instructions provided by PNW are a little light on some details, but they do a decent job of explaining how to install the dropper and lever. Install the lever clamp and lever on the bars. Thread the cable through the lever and cable housing. 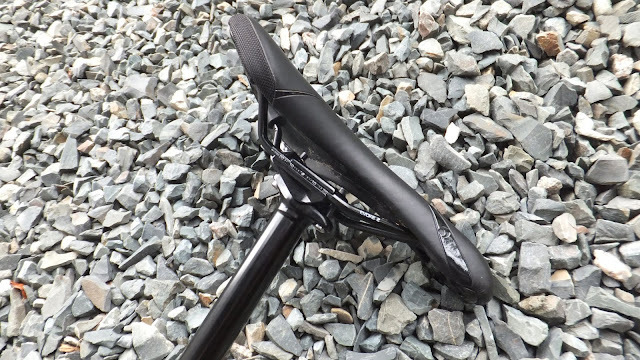 Install seat on dropper post. Route housing/cable down the frame and up inside seat tube. Loosen and move lever clamp. Mark and trim housing . . . trimming the cable later. Install end cap on cable housing and trim cable. 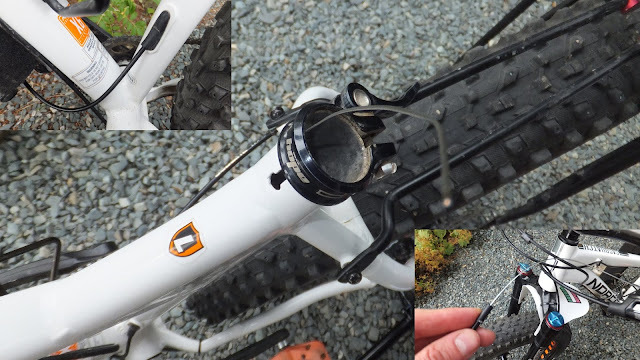 Install barrel end on cable, attach barrel to the dropper and pop the dropper in seat tube. 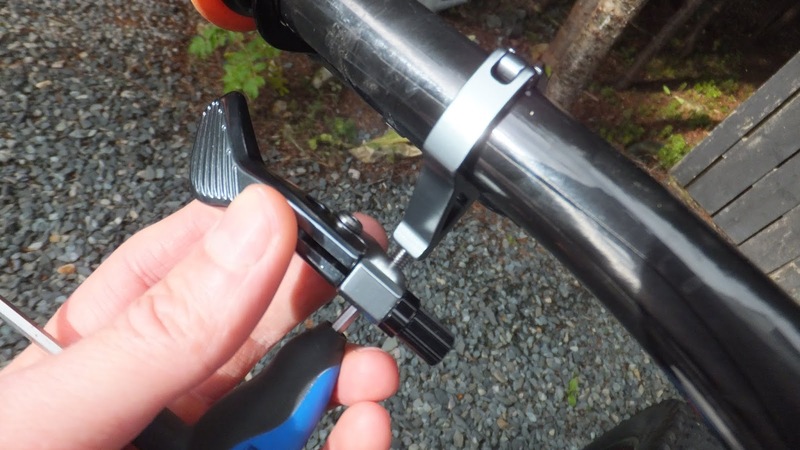 And finally, relocate lever clamp to your preferred position. 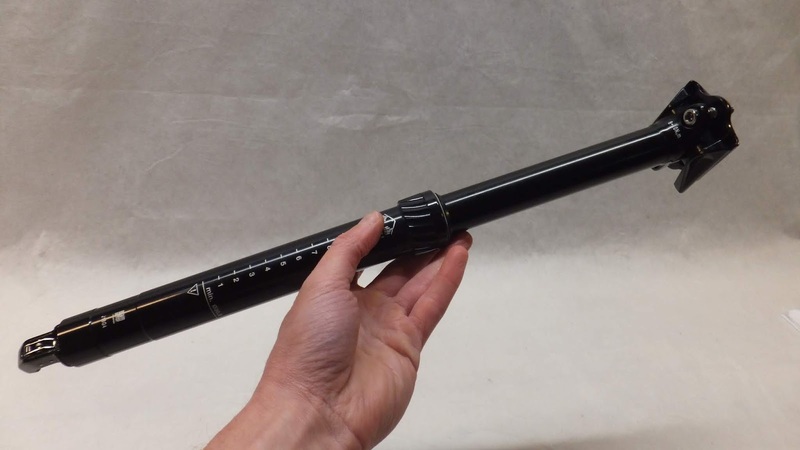 For additional details on dropper post installation, check out my previous post on How to Install a Dropper Post. With the lever and dropper installed it was time to give it a quick test. The initial action was very smooth with no lags and the seat rose at the just the right speed. Time to hit the trails. 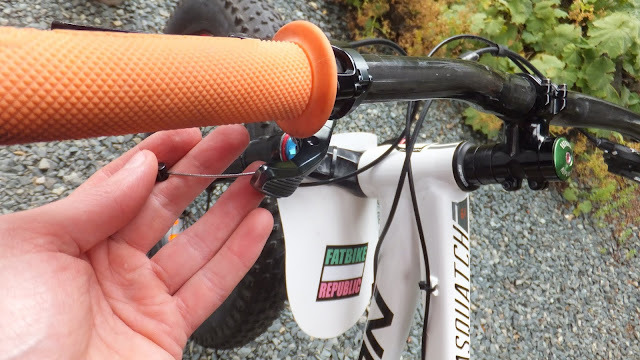 The Rainier 150 IR was mounted up to a hardtail Norco Sasquatch and hit the trails as the dry summer slipped into a cool and damp fall and cold winter. 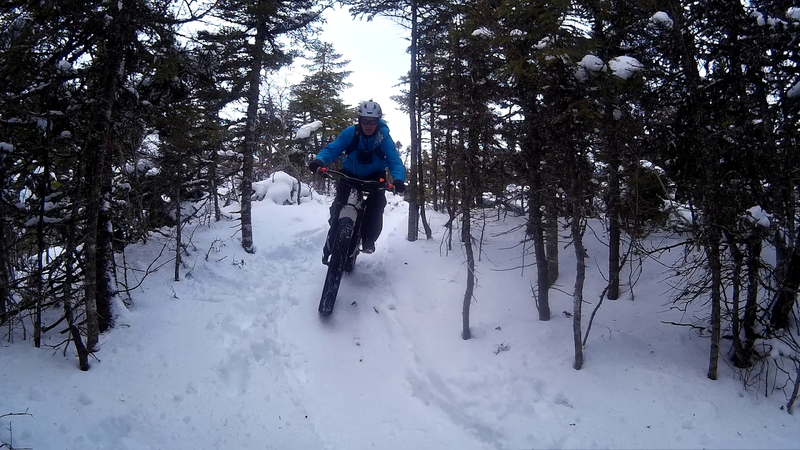 The good portion of the non-winter testing occurred in exploration mode – riding untamed and/or ungroomed terrain in the back woods. There was also a large helping of dirt roads/trails and a few gravel grinds for good measure. 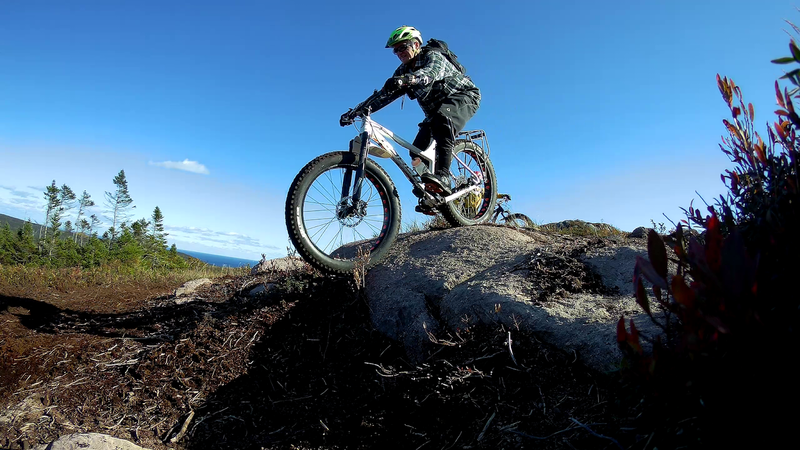 When riding in the back woods in unfamiliar terrain you have no real idea what you will encounter – mud, rocks, grabbing trees, nasty roots, crazy descents, massive climbs, etc. I found that the Rainier 150 IR was super responsive to every dab of the dropper lever in all terrain. At no time did it hesitate to drop or rise in the woods or on the trails. Dirt and water did not seem to affect it. As indicated in their literature, the Rainier practically has infinite number of positions. 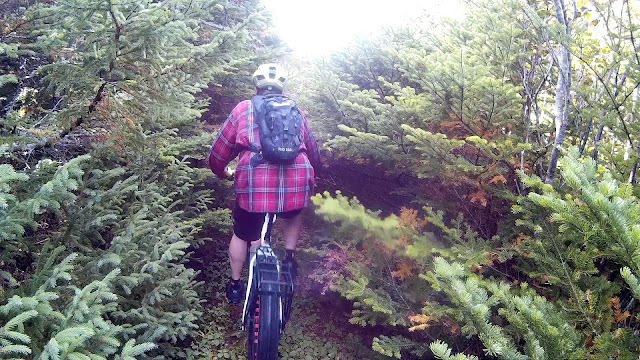 I stopped the seat in many locations - going up and down - and it gave me a stable perch for attacking the trail. There was no creeping, sliding, or side to side movements - it was solid. The Rainier 150 did not buck me out of the saddle when returning and at no time was I waiting for the seat. Even after a few unscheduled dismounts with the dropper post getting nudged, performance was not impacted. The Rainier 150 is tough. While a dropper is not needed for the majority of winter riding, the moment you get one you will wonder why you didn’t install one sooner. 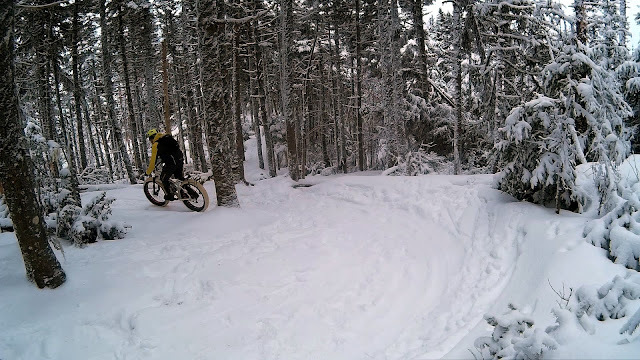 Cutting through a white single track (tightly lined with trees) or bombing a wide open trail . . . it’s nice to have the seat tucked out of the way. 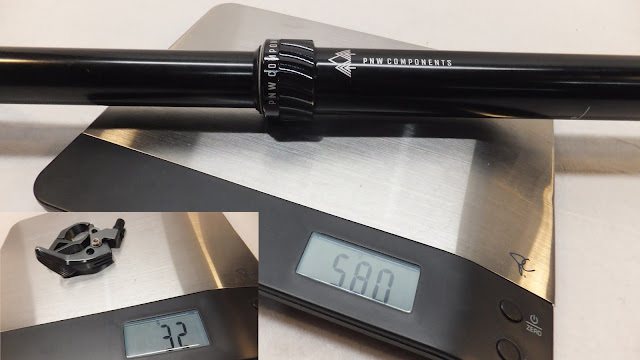 Cold temperatures did not impact the performance of the Rainier 150 IR. Up down . . . up down . . . up down as quick as I could stab the lever with my heavily gloved thumb. No hesitation. 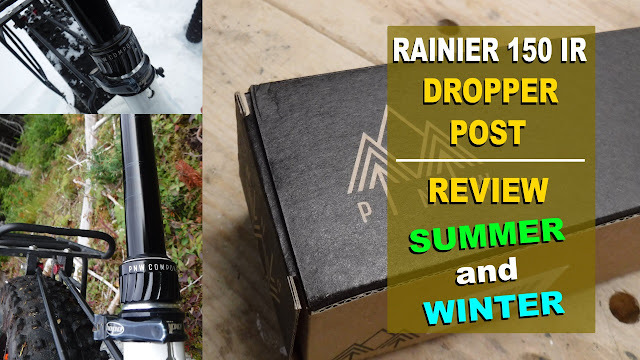 I was impressed with the performance of the Rainier 150 as other riding buddies were having trouble with their more well known dropper posts. The design and placement of the dropper lever still allowed for easy use when pogies were strapped to the bars after it got really cold. 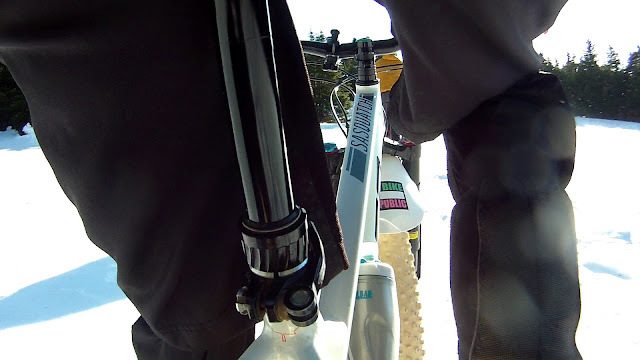 And it was super convenient to be able to drop the seat when swinging a bulky clothed leg over the bike when standing shin deep in the white stuff – push the lever, lean on seat with elbow, mount the bike, push the lever and start riding. The Rainier 150 IR is just at home during the cold winter months as it is during warmer weather. My experience with the Rainier 150 IR has been nothing but positive. While the installation instructions could have been a little more detailed in getting a tight custom fit with the cables, it was rather straight forward. I had zero complaints with the dropper during the non-snowy season. It performed flawlessly in both wet and dry conditions with consistent return speed and retraction. The dropper lever was well positioned and operated smoothly. The Rainier 150 IR performed exactly the same in the winter as it did in the non-snowy season. Cold had zero impact on the performance of the seatpost or in the smoothness of the lever. The Rainier 150 IR by PNW Components just works . . . and works well.